If you want to make new constructions without any complications and with one click, this mod might interest you. Instant Massive Structures 1.7.2 and 1.7.10 is a mod that lets you create up to 23 predefined structures. To do so, we only do the crafting specific for each structure and put it on the floor, instantly appear that structure. Find in these constructions: snapshots, a tower, a rollercoaster, a garden, an airplane, a balloon or other as a bunker sand house, jail, store boxes, pen, a lighthouse, a giant tree and incantations room, between some more options. 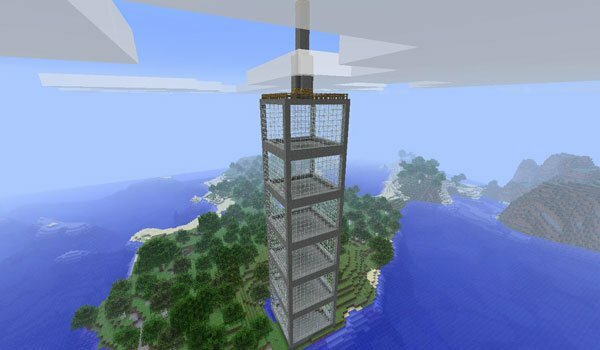 How to install Instant Massive Structures Mod for Minecraft 1.7.2 and 1.7.10? Lots of new structures, with a single click!